Are you too lazy to build your own house? Would you like to take your home in a block in your inventory? Insta House 1.6.2 and 1.6.4 lets you create predefined buildings by simply clicking on a block. To begin, we create the “Urges Staff” using two sticks and one of powdered bone over the sticks. This allows us to bring up the buildings, by right clicking on the block that holds that construction. Use different types of homes, up to four houses, three small and one quarter will be a tree house. What’s more, we may use a tent, a trap for mobs, a pool and a fountain, all with a single click. 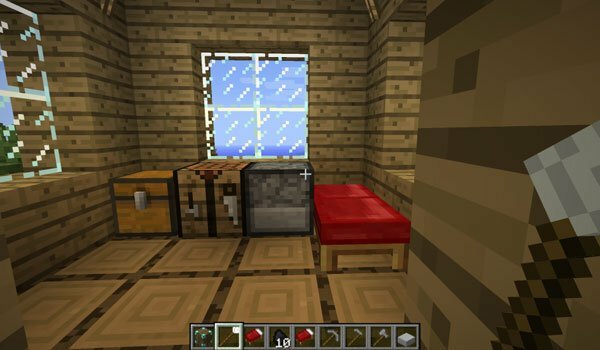 How to install Insta House Mod for Minecraft 1.6.2 and 1.6.4? Paste the mod downloaded file , inside .minecraft / mods folder. Build a house in a click!